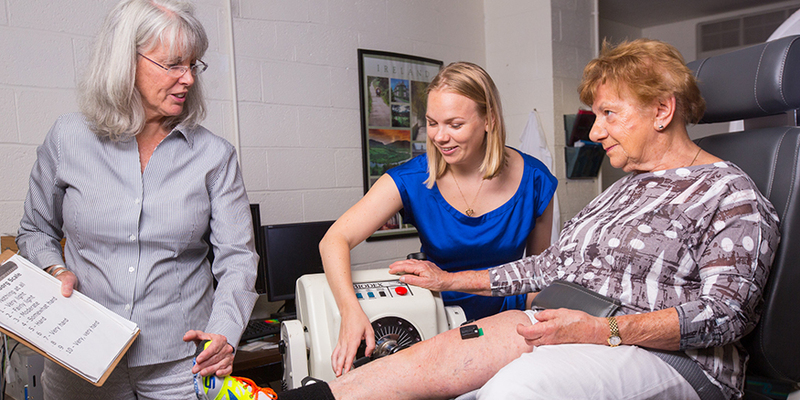 Kinesiology faculty researchers engage in an interdisciplinary approach to the study of human movement, investigating the mechanical, neurological, biochemical, physiological, and behavior components of human movement. Health and wellbeing outcomes of exercise and physical activity are considered for a variety of populations. Faculty expertise extends to many pressing kinesiology concerns such as physical activity and health, including fitness, health and wellness, intervention, and the measurement of physical activity; motor systems, including sensory-motor control and biomechanics; and physiology, including muscle damage, cardiovascular health and recovery, muscle fatigue and aging, and energy metabolism.